Despite meetings held between the lecturers and the federal government, the contentious issues still remain unresolved with the lecturers vowing to continue their strike until their demands are met. At the root of the strike is an agreement ASUP had with the federal government in 2001. The 2001 Federal Government of Nigeria/Academic Staff Union of Polytechnic, ASUP, agreement was reviewed in 2009 with an agreement that it should be re-negotiated after three years. The failure of government to call for a re-negotiation in 2012 as agreed and the accumulated challenges confronting the polytechnics necessitated the union to identify critical areas of need in the schools, the ASUP National Publicity Secretary, Clement Chirman, told PREMIUM TIMES. The critical areas were presented as a list of 13 demands by ASUP to the federal government in 2012. The need for a re-constitution of the Governing Councils of Federal Polytechnics which were dissolved in 2010. The migration of the lower cadres on the CONTISS 15 salary scale. Government had approved the migration in 2009 and actually began its implementation for the senior cadres with strong assurances that those of the lower cadres would follow without delay. The release of the White Paper on the Visitations to Federal Polytechnics. The need for the commencement of the Needs Assessment of Nigerian Polytechnics. The worrisome state of state-owned polytechnics in the country. The argument to government here is based on the rot and comatose state of most state polytechnics. The continued appointment of unqualified persons as Rectors and Provosts of Polytechnics, Monotechnics and Colleges of Technologies by some state governments. 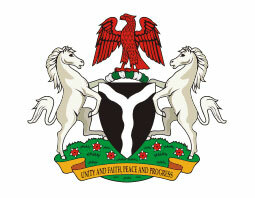 The refusal of most State governments to implement the approved salary packages (CONPCASS) for their Polytechnics, Monotechnics and Colleges of Technologies and the 65-year retirement age even though both states and federal polytechnics are regulated by the National Board for Technical Education, NBTE, and they operate the same scheme of service. The insistence of the office of the Accountant General of the Federation to include Federal Polytechnics in the IPPIS module as against the Union’s protestations while other arms of the tertiary education sub-sector are allowed to maintain the status quo. The dichotomy between university and polytechnic graduates in job placements and career progression. The argument in this regard is anchored on the fact that graduates from these sectors should be measured on the strength of their competence on job delivery and not the environment that produces them. The snail speed pace of the review of the Federal Polytechnics Act at the National Assembly. The reluctance of the Office of the Head of Service to approve the Revised Scheme of Service for Polytechnics. The non-commencement of the re-negotiation of the FGN/ASUP agreement as contained in the signed agreement. The content of these demands were tabled before the government as early as February, 2012. In December 2012, as a result of government’s failure to address any of the demands, ASUP issued the government a 30-day ultimatum, which expired on January 31, 2013. However, although ASUP had reasons to embark on strike in view of government’s repeated failure to address its demands, it opted to give government more time to respond. The response never came and that compelled the union to issue another 21-day ultimatum on March 25, 2013 which expired on April 22, 2013 and was followed by the declaration of a one-week warning strike which dovetailed into an indefinite strike beginning Monday, April, 29, 2013. The issues, as contained in the union’s demands, are directed towards the proper strengthening and development of polytechnic education in Nigeria. ASUP initiated series of meeting and indeed met several times with government since August 17, 2013 to ensure that industrial peace was maintained in the polytechnics. “Each session of such meeting was unfortunately characterised by repeated promises and lack of commitment from Government,” Mr. Chirman said. It was only when the government did not resolve the issues that the union embarked on another indefinite strike from October 4, 2013. As a result of the negotiations, out of the 13 demands, the Federal government and ASUP agreed to work on four. These were: the need for constitution of the Governing Councils of Federal Polytechnics, the migration of the lower cadres on the CONTISS 15 salary scale, the release of the White Paper on the Visitations to Federal Polytechnics, and the need for the commencement of the Needs Assessment of Nigerian Polytechnics. However, of the four, only the need for constitution of the Governing Councils of Federal Polytechnics has been fully addressed by the federal government. The strike is now in its fifth month with ASUP insisting it would not resume until its demands are met.